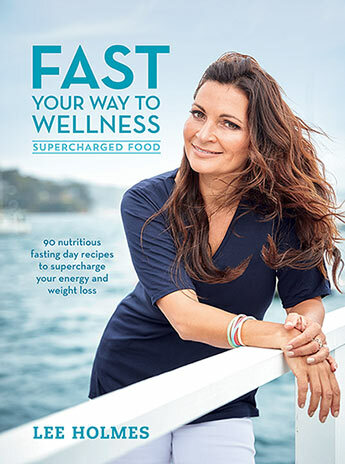 Lee Holmes presents a simple, supportive and sustainable approach to intermittent fasting (IF), featuring balanced meals that use nutritious unrefined wholefoods to boost energy. The IF diet is based on a 500 calorie (2092 kilojoule) restriction for women and a 600 calorie (2510 kilojoule) restriction for men. Among its many benefits, intermittent fasting helps the body shift from a sugar-burning machine into a fat-burning machine. Lee demonstrates that fasting can be even healthier with the right food and ingredient choices, putting you on the path to achieving good health, increased vitality and weight loss. Fast Your Way to Wellness contains 88 fasting recipes to take you all the way through from breakfast to lunch and then on to dinner. A number of different fasting methods are provided so you can choose the one that fits in with your lifestyle. Lee supplies information about the science of fasting, what it is, how it works and the enormous health benefits associated with it. You'll find tips on how to start your first fast, incorporating exercise into your routine and how to monitor results and adjust as you go. There's a shopping list and an intermittent fasting calorie- calculator to assist if you wish to add certain ingredients to recipes or mix and match. All of the recipes are free of gluten, wheat, processed sugar and yeast, and many are also dairy free. Each dish includes a serving amount and indicates the number of calories per serve, and there are also handy shopping, preparation and cooking tips.